I’ve been pretty busy with things over the past few weeks, and I will be for the upcoming weeks, with final exams and house moving and all. But in the times when I’m supposedly studying, I end up procrastinating way more than I’d like to admit. 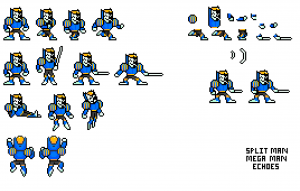 Still, during that time I always end up making things, and recently I’ve been getting into the sprites with a little help from The Zenith Serene (Leader of the Mega Man Battle Network: Project Genesis team). For those of you who don’t know, we’re helping each other with our games. 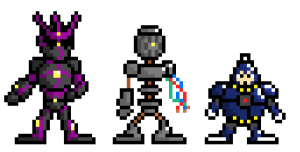 I also did Wire Man, Wreck Man and Mind Man’s sprites.